This week I take a look at some more laid back games mostly for the iPhone/iPod Touch. This weeks game range from warrior stick people, slightly addictive product placement, and virtual office time wasters. 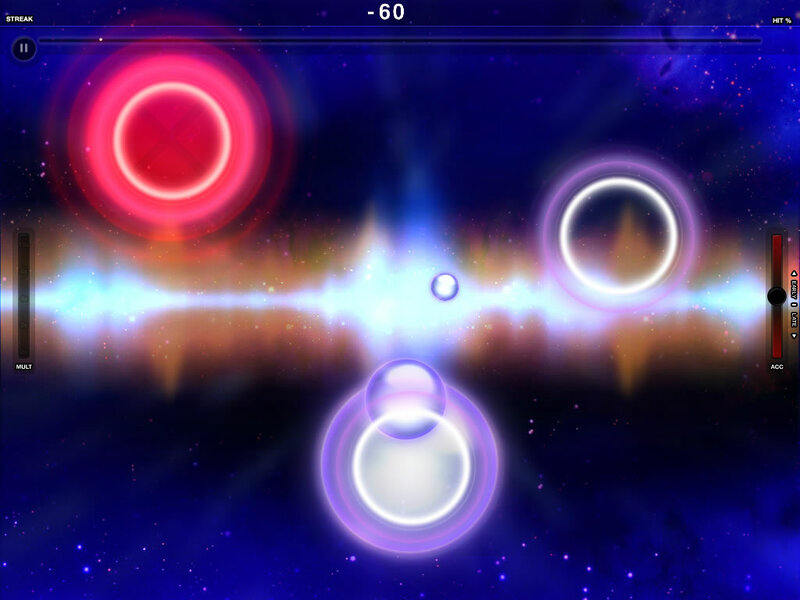 I also take a look at Tap Tap Radiation for the iPad. If you have any suggestions for games you would like to see reviewed you can e-mail me at ike@justcoolenough.com. Pleasant little 3D like puzzle game. 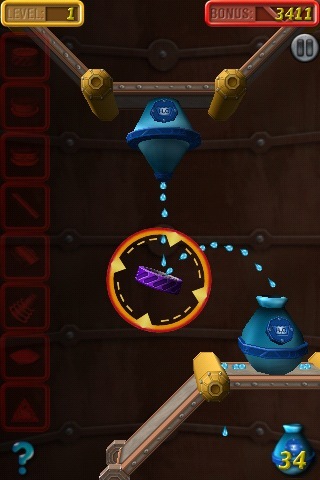 The game provides the player with a series of tools to get the dripping liquid from a dripping holding tank to a barrel. Once the barrel is full the puzzle is over. As the game progresses the player is given more tools and various types of liquids to attempt to get in the right containers. The less tools you use on each puzzle and the quicker a player completes the puzzles the more points the player is awared. I had lots of fun playing this game, it became more than just a time waster and more of an addiction. The iPod Touch/Phone edition comes with 50 levels and eventually it gets to a point where the levels get so hard you may have to put down the game and come back to it later. I give this game 4 out of 5, fun brain teasers and no one right answers makes this game a lot of fun! Cube Party Roundup by Coresoft Inc.
Alright, I am a bit bias because I own a cube so I thought I would take this game for a test drive. The idea of the game is to drive around in a maze of streets picking up your friends to go out to a party. The player picks up friends in a vary spesific order which is provided to you by following the "wire-less," signal to said friend. If a player doesn't pick up all their friends in a certain amount of time the game ends. This is a HUGE product placement game for the Nissan Cube. Game play is alright, the game is very repeditive and boring after the first 5 minutes of play. I give this game a 1 out of 5, boring game play and repeatitive game style makes it very lacking. 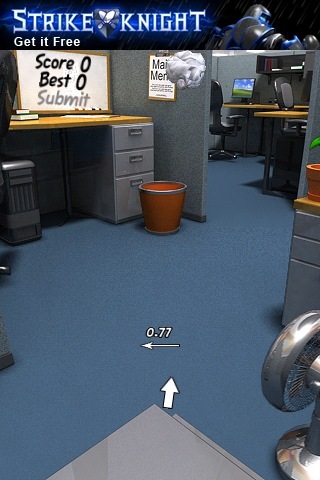 A fav office past time, shooting the paper ball into the basket. With a flick of the finger the paper ball goes flying through the air and with any luck it will make it into the trash basket. This game provides a few different levels which place the trash further away. A little arrow and numbers denote which way the "wind," is blowing so you can flick the paper accordingly. The free game for the touch and phone has ads across the top of it which can be a bit annoying. I give this game a 3 out of 5, good to pass short amounts of time and that's about all it's good for. Destory your enemies tower before they ruin yours! Game play is level by level, more levels beaten, the more money made. Money is used in this game to unlock more units as well as upgrade units abilities. The game is really easy once you get the hang of it, even when the computer gets more units and game play becomes, "difficult," the game can still be rather easy. This game can be lots of fun if you let it, or it can be a way to keep your hand busy while you watch TV. Sounds dirty, I know, but if you upgrade in the right order you don't even have to pay attention to win. I give this game a 3.5 out of 5, game play can be fun but once you learns the ins and outs of the game and you no longer have to pay attention to win, what's the point of playing unless you want to see how high you can get your score. The game is free with 30ish downloadable tracks for free but majority of the music you have to buy to play. Unless Radiations iPod Touch/Phone counter part there is no online game play available. Due to the bigger screen of the iPad touch pads to tap on in the game float around the screen and move into different places as the game goes on. Due to the constant movement of the touch pads it can be hard to keep tapping without, "missing," a bubble. The game has a limited free library and the songs are even more limited as to the levels you can play on each song. This game is no where as strong as Tap Tap Revolution. I give this game a 3 out of 5. Once this game can step it up to the level that tap tap revolution is at then it may be worth checking out, until then, unless you are a HUGE fan of rhythem games, don't bother. If you have any other games you would likes to see reviewed for iPod Touch or iPad e-mail me at ike@justcoolenough.com!